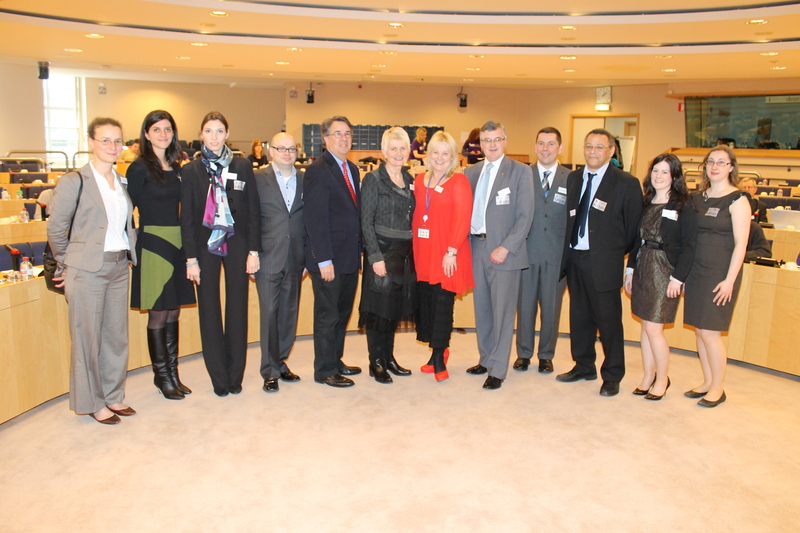 On 6th March 2012, Marian Harkin MEP and Phil Prendergast MEP hosted a seminar on the topic of Genetic Discrimination. 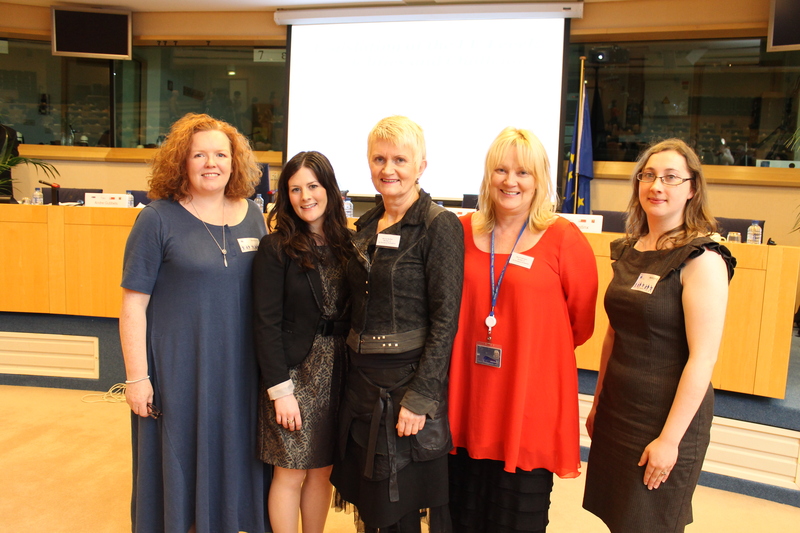 The event was organised by the Centre for Disability Law and Policy, NUI Galway, in conjunction with the European Disability Forum, and took place in the European Parliament, Brussels. This international seminar, which was chaired by Andre Gubbels (Belgian Ministry), was the first of its kind in the European Parliament and brought together a diverse range of leading experts in the area, with the objective of exploring the case for a European level response to protect the privacy of genetic information and to prevent genetic discrimination. The seminar highlighted the interdisciplinary nature of this area and focused on the interaction between genetic science, technology, ethics and the law, and in particular, how best to address this complex area. The event also looked at the challenges and practical problems that arise when attempting to regulate this area, as well as the transatlantic perspectives on the matter. Speakers included Professor Ciaran Morrison (Centre for Chromosome Biology, School of Natural Sciences, NUI Galway), who illustrated the reality of rapidly advancing genetic science, and the potential of new genetic testing technology. Professor Yann Joly (Centre of Genomics and Policy, McGill University, Montreal, Canada) outlined the ethical and legal implications arising from the use of genetic information by third parties, exploring the potential for genetic discrimination. Professor Peter Blanck (Burton Blatt Institute, Syracuse University) examined the position in the United States and the Genetic Information Non Discrimination Act 2008, while setting the scene in a historical, sociological and political context. Dr Delia Ferri (Faculty of Law, University of Verona) presented the challenges and possibilities of legislating at European Union level, looking particularly at the privacy and non- discrimination approaches. A roundtable panel composed of Pat Clarke (member of European Disability Forum Executive Committee/ President, Down Syndrome Ireland), Marian Harkin, MEP, Peter Hustinx (European Data Protection Supervisor) and Dima Yared (Office of the High Commissioner for Human Rights) discussed the different perspectives for the way forward. The Rapporteur’s Report was delivered by Dr Elise Muir (Maastricht University), who reflected upon the emerging consensus that genetic science is advancing at a rapid pace, and is becoming more accessible and more readily available to individuals and third parties. Dr Muir acknowledged that although advancing genetic research offers the potential to revolutionise health care and medical treatment, it could also result in problems and pitfalls with the misuse of sensitive genetic information. Although a comprehensive European level response is needed in this area, to adequately protect genetic privacy and prevent the discriminatory use of genetic information (and also to avoid a parsimonious approach to the issue), care needs to be taken when considering the nature of the problem and the appropriate way forward. 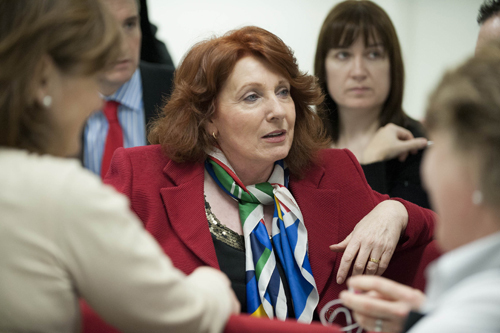 The Minister for Disability, Equality, Mental Health and Older People Kathleen Lynch earlier this month announced the establishment of a new Disability forum that will be convened by the National Disability Authority (NDA). See here. This forum will be developed along the lines of the Social Inclusion forum with a view to capturing the views and experiences of people with disabilities as service users. The Forum is also charged with facilitating a better consultation process and clearly establish the perspective of the end user and compliment the work of the main established disability organisations. The Social Inclusion Forum is a proven model for capturing the views and experiences of people on the ground and it has a capacity for reaching wider and further than the main established organisations. In a similar way, the creation of a Disability Forum will provide the opportunity and occasion for valuable dialogue relative to the disability sector. A published report from the annual Disability Forum will feed into the work of the high level group in the implementation of National Disability Strategy. It will also successfully capture directly the views and experiences from people with disabilities which will help significantly to inform policy and practice. 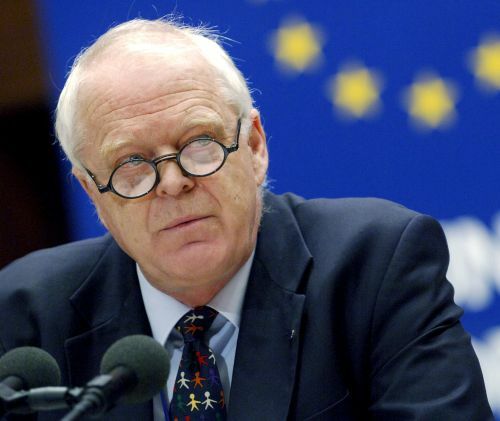 The Council of Europe Commissioner for Human Rights Thomas Hammerberg published an Issue Paper entitled “The Right Of People With Disabilities To Live Independently And Be Included In The Community”. This Issue Paper Follows On From One On Legal Capacity Published Last Month Entitled “Who Gets to Decide? Right to Legal Capacity for Persons with Intellectual and Psychosocial Disabilities”. Issue Papers are commissioned and published by the Commissioner for Human Rights, to contribute to debate and reflection on important current human rights issues. Many of them also include Recommendations by the Commissioner for addressing the concerns identified. The Commissioner in this Issue Paper made a number of important recommendations on how States can realise the right to independent living. The Issue Paper identifies the right to live in the community as enabling people to live their lives to their fullest within society and access the public sphere and as “… a foundational platform for all other rights: a precondition for anyone to enjoy all their human rights is that they are within and among the community”. The Issue Paper very much is based on the emerging discourse being generated by Article 19 of the CRPD, which captures the right to live independently in the community as a distinct right. The Issue Paper also makes a number of references to the synergy between Article 19 of the CRPD and Article 12 on legal capacity and the right to live independently in the community is closely allied to fundamental rights such as personal liberty, private and family life and freedom from ill-treatment or punishment etc. making services for the general public accessible to people with disabilities. The Commissioner expressed concern that “millions of people with disabilities in Council of Europe member states are denied the right to live in the community. Placement in institutions, still affecting the lives of more than a million people with disabilities across Council of Europe countries, is a pervasive violation of this right which calls for a firm commitment to deinstitutionalisation. Many more are isolated within their own communities due to inaccessibility of facilities such as schools, health care and transportation and lack of community-based support schemes.” This Issue Paper is timely then as the CRPD is driving a worldwide disability law and policy reform agenda. This provides an opportunity for States across Europe to promote the right to live in the community and participate and contribute to their communities. From a mental health perspective it is noteworthy that the Commissioner in the Issue Paper identifies mental illness as a factor as contributing to institutionalisation and subject to detention and forcible treatment. The Commissioner also referred to Article 14 of the CRPD as countering this by prohibiting “deprivation of liberty on the basis of a disability”. 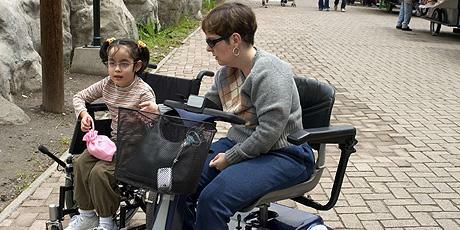 ratify the UN Convention on the Rights of Persons with Disabilities and its Optional Protocol. review their legislation and policy in the light of Article 19 of the UN Convention on the Rights of Persons with Disabilities, with a view to ensuring that everyone with disabilities enjoys an effective right to live independently and be included in the community, irrespective of the nature of the impairment. adopt a no-admissions policy to prevent new placements of persons with disabilities in institutional settings. set deinstitutionalisation as a goal and develop a transition plan for phasing out institutional options and replacing them with community-based services, with measurable targets, clear timetables and strategies to monitor progress. allocate the necessary budgetary and other resources towards community-based supports rather than institutional placement and services, in accordance with the principle of progressive realisation. ensure that the process of transition to community-based services and supports does not fall short of achieving full implementation of the right to live in the community, recognising that smaller institutions or segregated frameworks and mechanisms, such as congregate care, even when physically placed in the community, do not satisfy the conditions set in Article 19 of the UN Convention on the Rights of Persons with Disabilities. 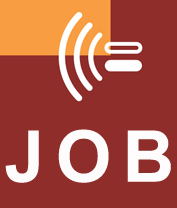 develop and implement a plan for services such as personal assistance, housing, support in finding a job, life planning, and support to family, which prevent isolation within the community, and which ensure that a person’s support needs do not compromise their full and equal participation and inclusion in society. develop and implement a plan to support families who have a child with a disability to enable the child a full life within family and community and prevent isolation and institutionalisation. define a statutory and enforceable individual entitlement to a level of support which is necessary to ensure one’s dignity and ability to be included in the community. review the nature and purpose of services offered to persons with disabilities with a view to enabling them to lead the life they prefer, by maximising their choice and control of support services and by avoiding bundling such services in a way which compromises that choice. enable persons with disabilities to purchase their own supports and access housing in the general housing market. critically examine the inclusiveness of community services for the general population with a view to making these services responsive to the needs of persons with disabilities. ensure monitoring by independent national mechanisms of the human rights of residents of institutions until institutions are phased out, and of the human rights of people using community support services, including the quality and accessibility of community-based schemes and supports. ensure that persons with disabilities and their representative organisations are involved and participate fully in planning, carrying out and monitoring the implementation of the right to live in the community. We are delighted to welcome this guest post by Neil Crowther a leading disability rights and equality advocate. Neil an independent consultant and writes in a personal capacity. He was previously Director of Human Rights at Britain’s Equality and Human Rights Commission (EHRC) where he led the development and implementation of its domestic and international human rights programme. Prior to his role as Director of the EHRC Neil led the Commission’s disability rights programme. Neil will write more about the issues raised by the Inquiry and about other work he has been involved in on Article 19 and the Convention more generally in a separate blog. 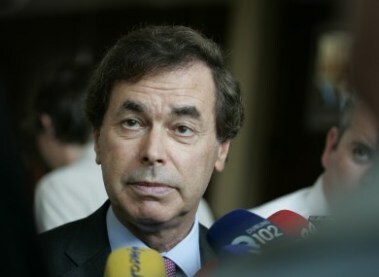 Alan Shatter (Minister for Justice, Equality and Defence), James Reilly (Minister for Health) and Kathleen Lynch (Minister of State at both Departments with special responsibility for Mental Health at the Department of Health), announced that they have tasked an Interdepartmental Group to examine the issue of people with mental illness coming into contact with the criminal justice system. This is a very welcoem development in an area of law and policy that has received little attention in the past. The establishment of the Interdepartmental Group is on foot of a recommendation of the Thornton Hall Project Review Group. 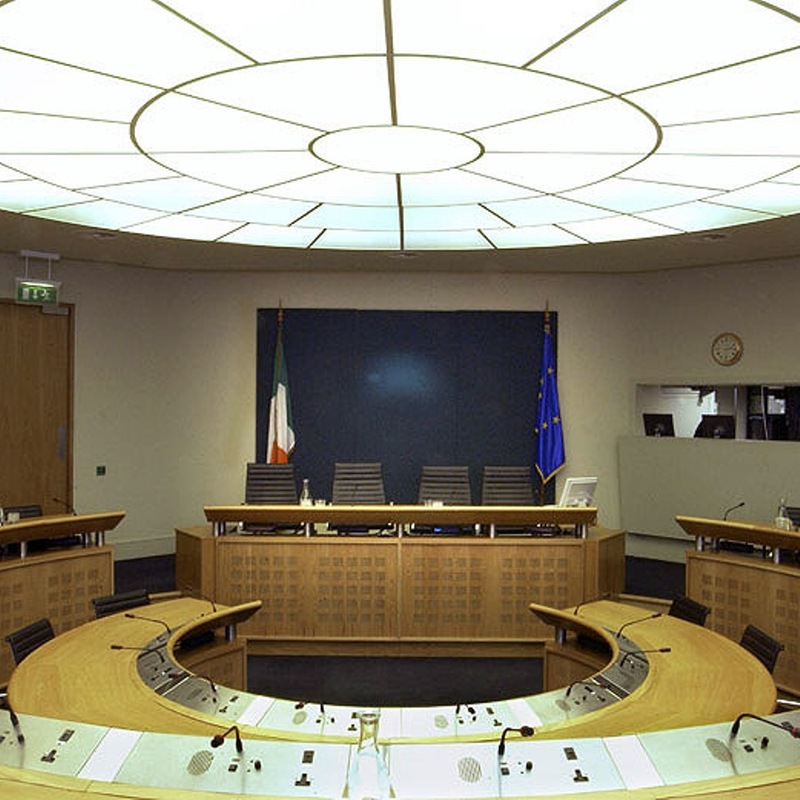 The Interdepartmental Group includes representatives from the Department of Justice and Equality and the Department of Health as well as relevant services including the H.S.E, the National Forensic Mental Health Service, the Garda Síochána and the Irish Prison Service and is jointly chaired by both Departments. The Group is due to report back to the responsible Ministers by mid 2012.
to report to and make recommendations to the Minister for Justice and Equality and Minister for Health for consideration by the Government by mid 2012.